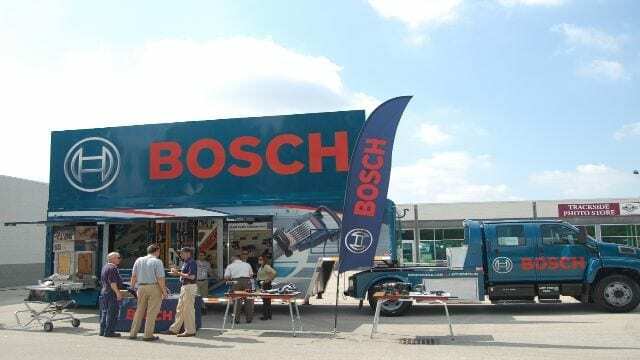 ETHIOPIA – German engineering and electronics maker, Bosch Appliances, will open its next regional outlet in Ethiopia this year as it eyes further expansion across Africa. According to the Business Daily, the multinational engineering and electronics maker said it will then open similar stores in Uganda, Tanzania, Mozambique, Senegal, Zimbabwe, Namibia, Ivory Coast and Nigeria by the end of next year. Bosch Vice President Sales and Marketing for sub-Saharan Africa, Allan Oyier, said talks are already at advanced stage with the Ethiopian government but did not give an exact timeline. “We are eyeing the main economies in sub-Saharan Africa starting with Ethiopia, to set up stores by the end of next year,” he told the Business Daily in an interview. The Germany-based company, however, did not disclose the financial details of its Africa expansion plan. The Ethiopia outlet will be the second in the region after the firm officially launched its showroom in Westlands, Nairobi on August 14. Some of the products available in the Nairobi store include washing machines, refrigerators, cookers and freezers. Bosch Appliances said it has partnered with retailers Hotpoint Appliances and Benyakuti to distribute its domestic appliances across the continent. Bosch Appliances, however, did not disclose the cost of setting up the Oval House showroom which currently has three workers. “Kenya is our hub for East and Central Africa. And we will continue to invest in the African market in the future,” the firm told the Business Daily on its plans to expand operations across the continent. “We are excited to introduce the extended range to our Kenyan customers. The new brand store gives the Kenyan community access to an extensive collection of the latest high-quality, energy-efficient products in the market,” Bosch Head of Region for Turkey, Middle East and Africa Norbert Klein said. The firm has two manufacturing sites in South Africa and sales offices in Egypt, Morocco, Nigeria, Angola and Mozambique. Bosch is optimistic that the FreshBox, a chiller specifically developed for remote areas with no access to electricity, along with other products tailored for the market will grow its popularity locally. Mr Klein said the FreshBox was designed after research in Kenya and Nigeria and will be sold locally under the Bosch brand.